boring not thriller like i wanted. i want a edge of your pants kind of book. I am never disappointed. I loved it. I started reading her books only two weeks ago and can't stop. I just thought the book was okay. It did not contain enough suspense for me. The reader did do a very good job, but I was expecting more thrill from the story. I found this book unexciting, predictable, slow, and packed with inconsequential details. It's constant and inappropriate attempts at humor failed and only further distracted me from the story. The action takes place mostly in Israel, but I get the impression that the author's knowledge of the country comes from a half-week long sightseeing trip and a couple of photos. I learned much more about Temperance Brennan's cat and bird than I did about Israel. The narrator is very talented, but she sounds like she makes most of her money doing punchy, upbeat commercials for cute ladies' clothing. She "sells" the lines too much and sounds less like a real person and more like an actor pretending to be a real person. Overall I was extraordinarily unimpressed and recommend this audiobook to nobody. I didn't like this book at all. Hard to follow and I couldn't finish it. I normally will finish a book whether I like it or not but this one I couldn't even finish. 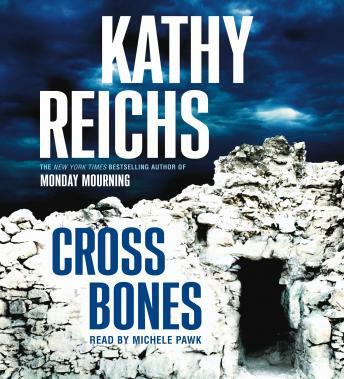 If you are a fan of Kathy Reichs you will enjoy this book but if you are like me you probably won't remember what it was about. The best part for me is envisioning David Boreanz's (Booth on the TV show) face whenever the male lead, Ryan, is key to the narrative. This book is ok. It's very technical.Parts are hard to follow. Loved the idea of the story line. The author spent a lot of time continually repeating information that we already had. That got a little old after a while. The ending was very disappointing. There were a lot of questions left unanswered. Not one of her best books. Too much effort to be similar to Da Vinci Code.